Our King Air offers comfortable executive seating for up to 8 passengers. Upon request a seven passenger executive interior including table, coffee bar and lavatory facilities can be installed for your traveling comfort. With a cruise speed of 264 miles per hour your destination isn’t far away! 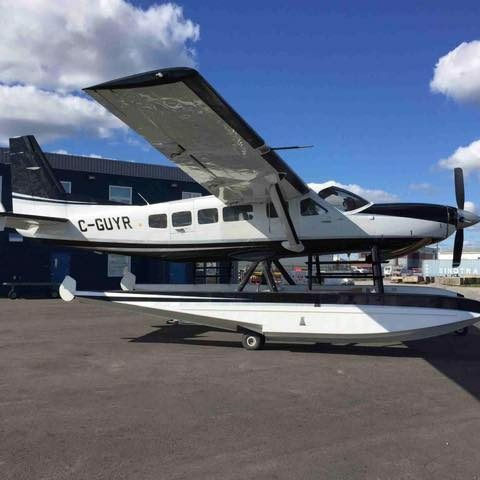 This aircraft has twin turbine engines, IFR GPS with Terrain Avoidance and a Weather Radar. Our Cessna 208 seats up to 8 passengers or approximately 2000 lbs of frieght depending on your desitnation. The amphibious floats allow for land to water convenience, the best of both worlds! 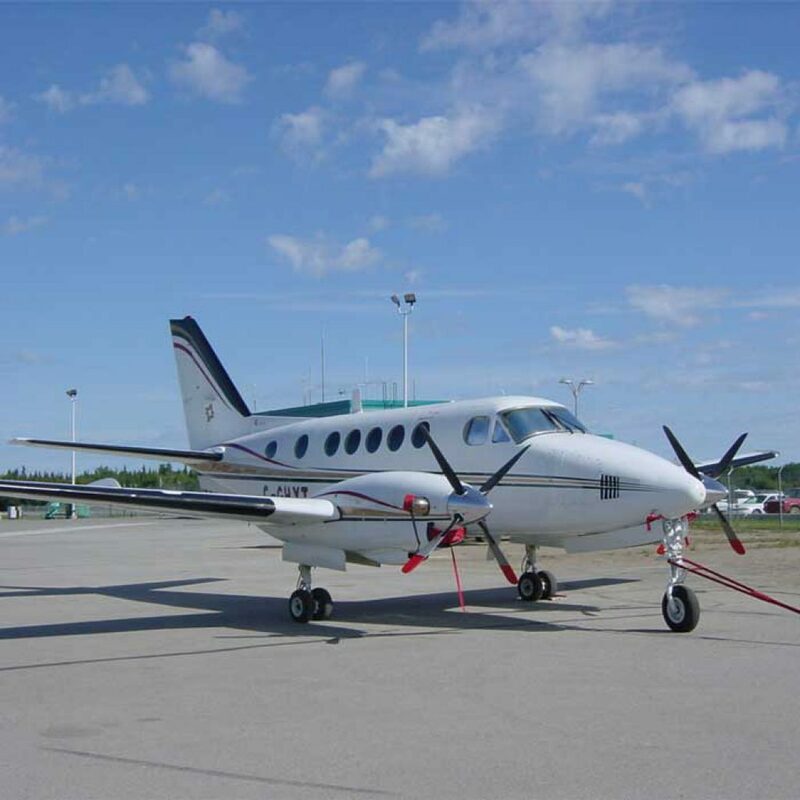 Our Cessna 337 seats up to 5 passengers and is equipped with a cargo pod to assist with your luggage or freight. This twin piston engine aircraft cruises at 170 miles per hour and is IFR rated. 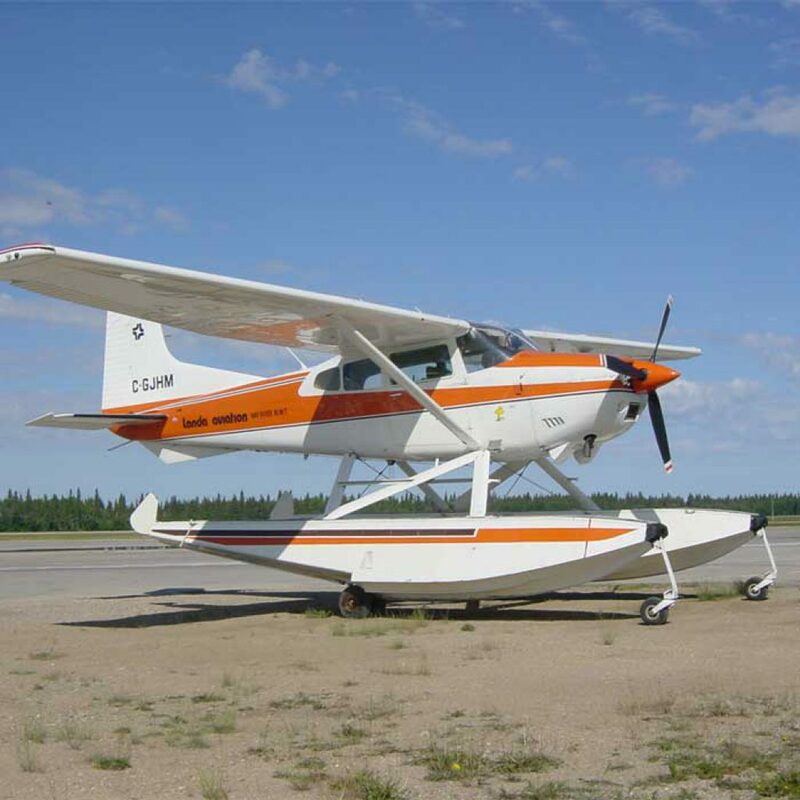 A great flexible aircraft that can look after passengers, freight or survey work. 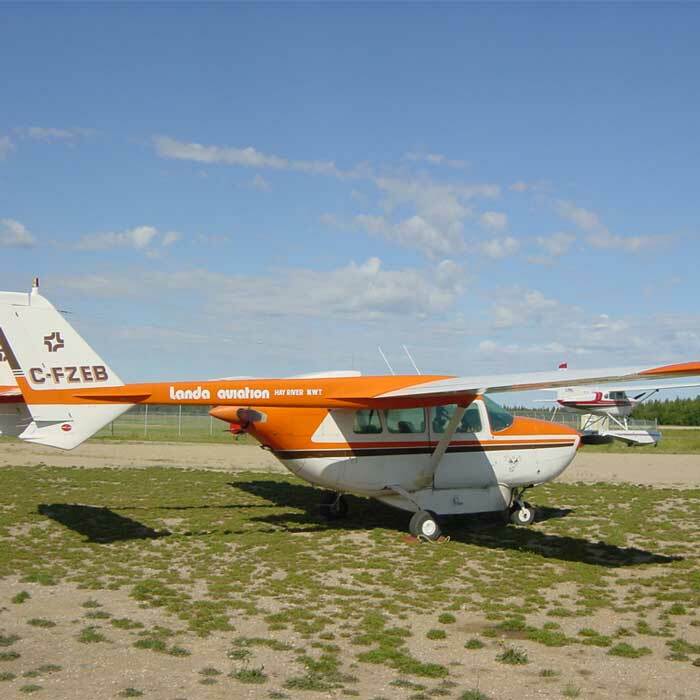 Our Cessna 185 seats up to 3 passengers. An over sized engine, black mack propeller and amphibious floats allow for land to water convenience, the best of both worlds! This is a single piston engine aircraft.